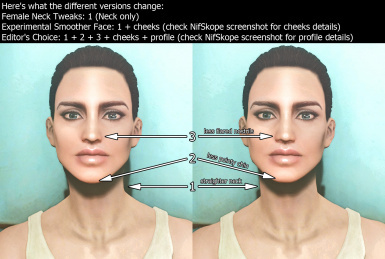 Small improvements to the female neck shape. Charming Melissa Choose "editors choice"
Confident Eva-Victoria Choose "Editor choice"
Constance Preset Pack - LooksMenu Pick ''Editor's Choice'' option. 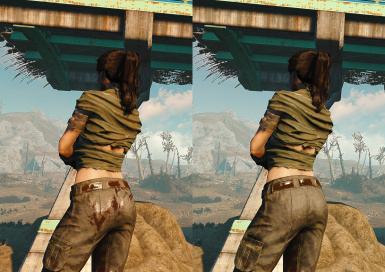 Wasteland Heroines Replacer and Presets All in One Please choose "Editor's Choice". 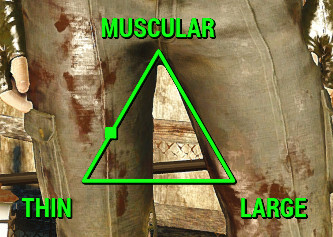 If your character is female and on the lower end of the weight triangle you might have noticed that the neck takes on a very concave shape. I made this mod as an attempt to improve the neck shape and make it look more natural. It is now a little wider at the base, wider in the middle and thinner/less bulgy where the neck meets the jaw. 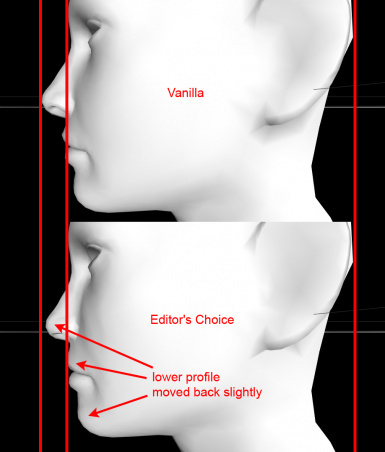 WARNING: This mod might be redundant if your character has a high weight in the weight triangle, regardless of whether you're using a body replacer like CBBE or not. With high weight, the neck tends to take on a more normal shape. Archive Invalidation needs to be turned on. 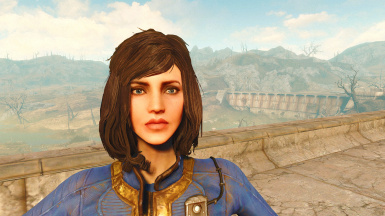 See here if you don't know what that means: http://www.nexusmods.com/fallout4/mods/4421/?